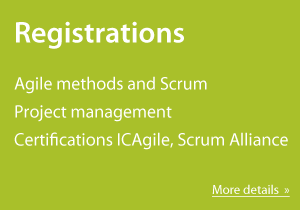 We are preparing the next run of CAL - Certified Agile Leadership I in Prague. The class will be on 13-14 September 2018 in English. The training is focused on building a modern Agile Organization and to support personal growth of Agile leaders, emphasizes the right culture of the self-organization, ownership, and responsibility while keeping safety and trust as a prerequisite. Agile leadership is one of the critical aspects of every successful Agile transformation in any organization. You can get early bird price if you register until August 13, 2018.